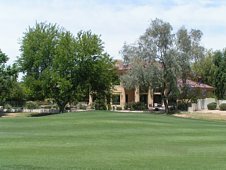 North Meadow I is located along the northern border of the Gainey Ranch development, just off Mountain View Rd. These single family, custom homes range in size from 2800 to 4300 square feet, and many enjoy views of the 6th fairway on the Dunes Golf Course. The HOA fees are $319 monthly. Prices from the low $900,000’s.